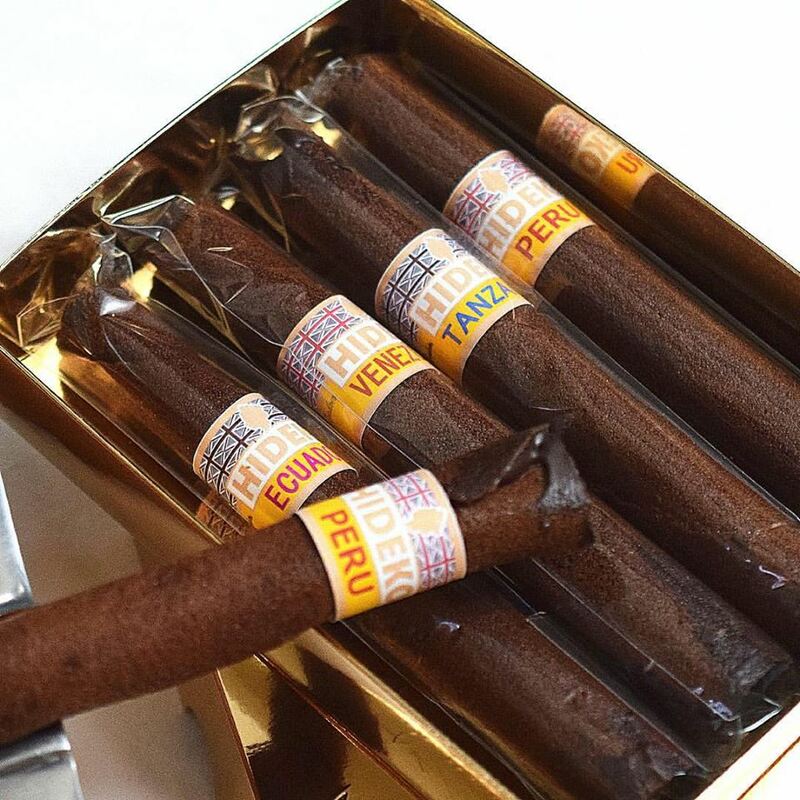 The unique creative luxrury chocolate cigar boxes are carefuly handcrafted by GBBO PRO 2018 Finalist SweetArt Lab. 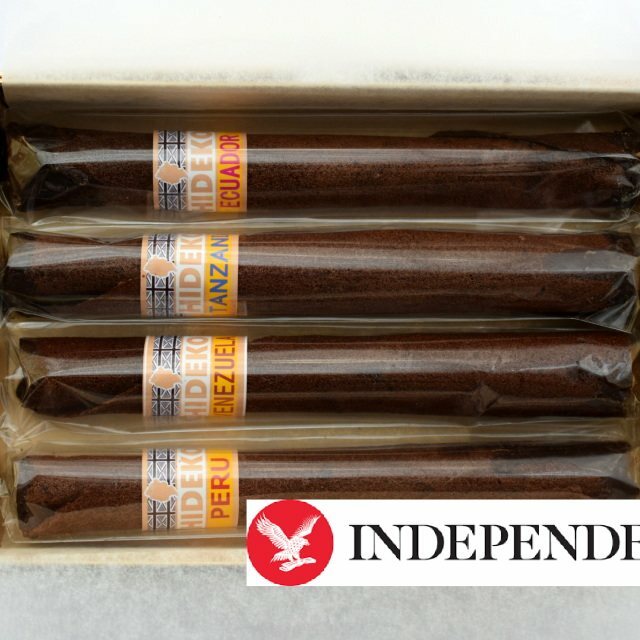 Chosen by The Independent as one of the 18 best luxury chocolate boxes, you'd be forgiven for thinking these were real cigars - carefully hand crafted chocolate tuile internally chocolate coated with a delicious whisky ganache filling. With these you can explore the different chocolate origins around the world - each one has chocolate from either Venezuela, Ecuador and Tanzania. The flavours of the exotic fillings are related to cigar flavour profiles including coffee chocolate ganache, a marmalade made from Yuzu fruit, and 18-year-old whisky chocolate ganache. Choose from boxes of 3, 4 or 5 pieces. Beautifully presented in a gold paper box. Shelf life is of 7 days when stored in a cool, dry place, or 2 weeks if kept refrigerated. Contains GLUTEN(WHEAT), EGG, SOYA and DAIRY. All our products are made in an environment that handles NUTS, GLUTEN(WHEAT), DAIRY, EGG, SOYA and ALCOHOL and may contain traces. Not suitable for vegetarians. This product is dispatched by Sweet Art Lab . Please note: this item has special delivery requirements so £1.20 is added to the delivery charges indicated below. 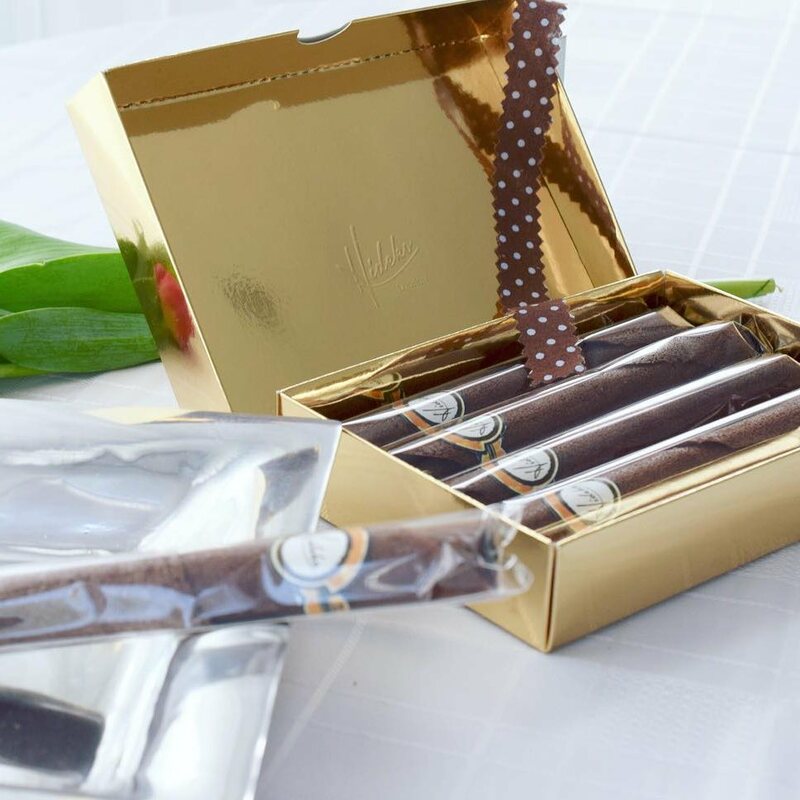 Hand crafted chocolate that will captivate chocolate connoisseurs.